Photo: Lava Design Iceland Jewelry: Iceland honors both its viking history and volcanic landscape through locally-produced jewelry. However, it's important to note that although the style is authentic, many lava beads are crafted from non-Icelandic rock - lava purists may prefer gathering rocks on their own. Photo:66 North Icelandic outerwear is lightweight yet hardy, making it ideal for cold-weather adventures. Stop by a specialty shop like 66 North for gear that'll last. Photo: Helgi Halldórsson /Flickr Design: Like its Nordic neighbors, Iceland is heralded for its take on interior design. 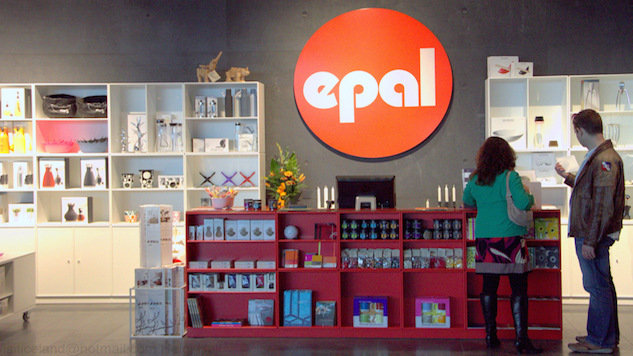 Giants like Epal offer a contemporary twist on furniture, but you can also find decor and design books at smaller shops. Photo by Wolfgang Kaehler/LightRocket via Getty Images Wool: Icelandic sheep produce dual-coated fleece, yielding three blends of wool - tog, thel and lopi. Iceland's wool products are on the pricy side, but the warmth and quality are worth it - check a thrift store for more affordable alternatives. Photo: Vínberið Sweets: Iceland offers an incredible array of candy, from magical stores like Vínberið to beloved brands including Omnom Chocolate. Icelandic chocolate and licorice are staples, but you can also find popular European candy at supermarkets or gift stores. Photo: MmePassepartout, CC-BY Liquor: In a latitude with questionable amounts of daylight, you have to have a lot of alcohol. Since Iceland's liquor stores are controlled by the government (no, really) and have unusual hours, your safest bet is Keflavík International Airport's duty free wonderland. Welcome to The Takeaway, a series highlighting the best goods a destination has to offer. Every week, we’ll showcase seven gifts every traveler should consider in terms of quality and value. If you’ve made plans to visit Iceland recently, you’re not alone—the Nordic nation is one of the world’s most popular destinations, and that’s not by accident. After the economy collapsed, Iceland shifted its focus from fishery to tourism, and it paid off. Iceland is primarily known for natural phenomena like hot springs and the Aurora Borealis, Reykjavik’s top-notch restaurant scene and easy mobility (you can easily traverse the entire island within a day), but the country’s also got some great stuff—world class music and design, cold weather wear that holds up (especially wool), delectable candy and, of course, vodka. Stay aware, though, of the dollar-to-krona exchange rate so you don’t, say, accidentally spend $65 on a hat.